I grew up as a kid, a giant fan of Sergio Aragones ( Of MAD Maginals fame) and Groo the Wanderer. I glimpsed a news item about Groo and wondered what Groo would look like as a slightly more realistic painting. And so here you have it. 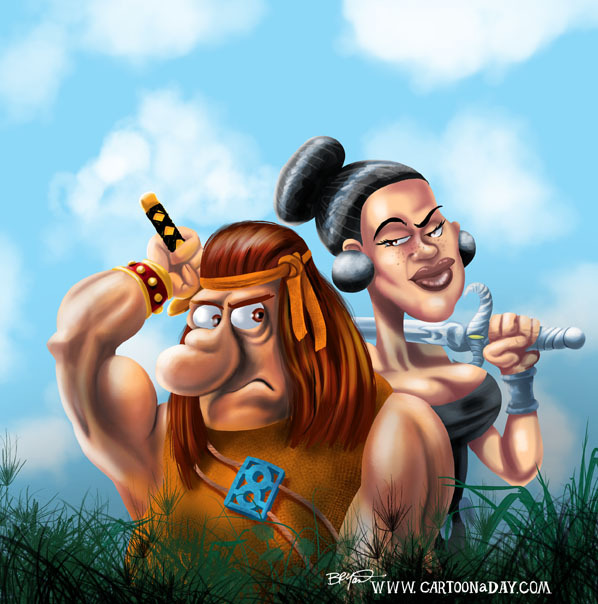 Here’s our brainless hero Groo and his love, Chakaal.